The City Reliquary Museum is a not-for-profit community museum and civic organization located in Williamsburgh, Brooklyn. Since 2002, the Museum has revealed the unique character of New York City by highlighting its commonplace history. Through a permanent display of artifacts, rotating exhibitions, public programs, and community outreach, The City Reliquary connects visitors to New York past and present. Our staff and volunteers rely on you to help make the Reliquary possible. 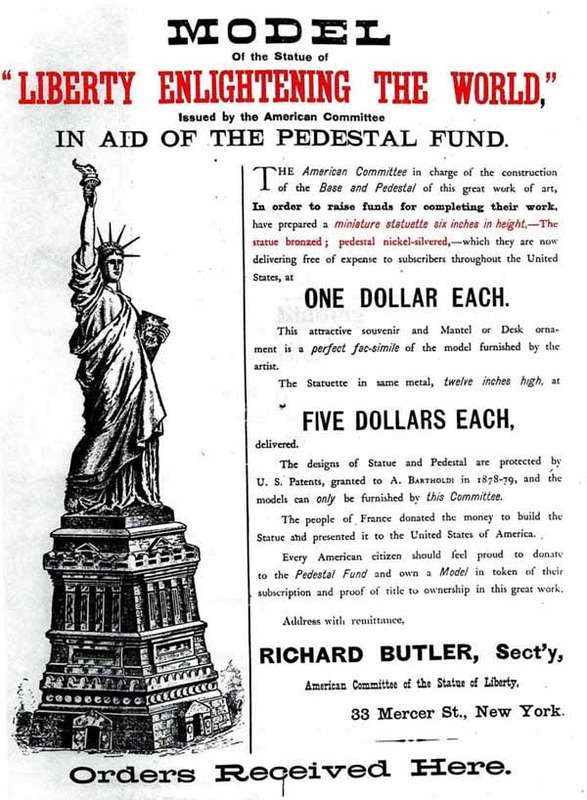 Joseph Pulitzer’s 1883 “Pedestal Fund” for the Statue of Liberty revealed the powerful result when people of all economic and cultural backgrounds unite towards a common goal. The symbol of our city--and of the American Dream--literally stands on the contributions of the people. The symbol of our city--and of the American Dream--literally stands on the contributions of the people. In that spirit, and during this challenging time for small and feisty non-profits, we remind you that even the smallest donation makes a difference. To this day, the majority of our funding comes from individual gifts under $100. All gifts are tax-deductible. All sponsors will receive a complimentary Havemeyer-level membership to the museum.